If you are anything like me, you hate clutter, and most of all, you hate clutter in drawers. Especially that catch-all drawer that is most likely in your kitchen that has everything from pencils, to paper, to screwdrivers, to batteries. To help you solve that problem, I've come up with a solution that is practically free! 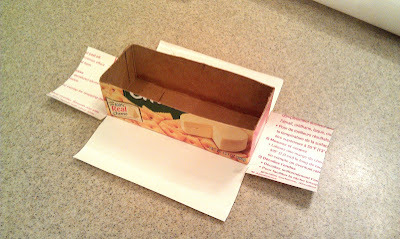 Enter the Recycled Drawer Organizers using empty cardboard boxes from your pantry! One of the best things about this project is that it's essentially free! 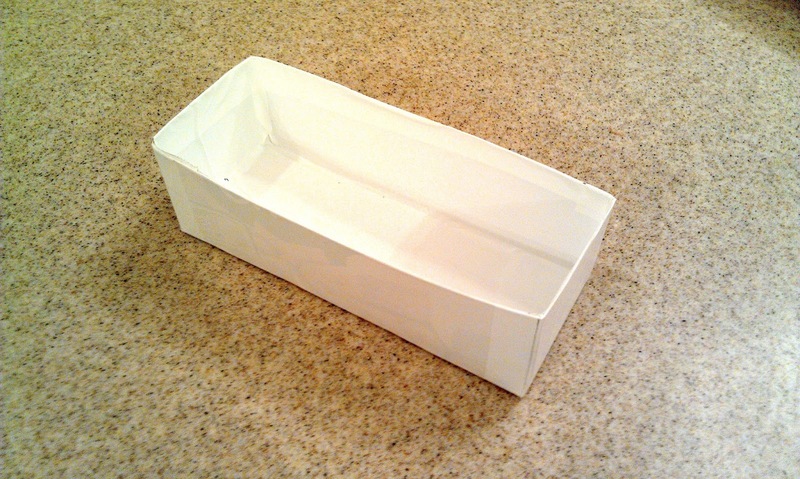 You already paid for the boxes and are just reusing them instead of (hopefully) recycling them, and if you used contact paper to cover the shelves in your kitchen cabinets or bathroom drawers, just a small amount will help you transform these boxes to make them perfect for organizing those cluttered spaces! For a few weeks, start collecting empty boxes, and put them aside without breaking them down. 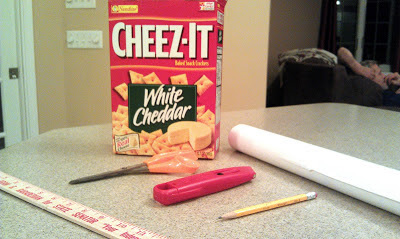 Gather together a few extra supplies: scissors, box cutter, pencil, ruler, and contact paper, which you can find for really cheap, and in different colors and patterns. I only had white on hand, but I plan to purchase some other ones that are a little more fun. If you want, and you only have white on hand, you can decorate it with sharpies, but just give it some extra time to dry before you start this project. 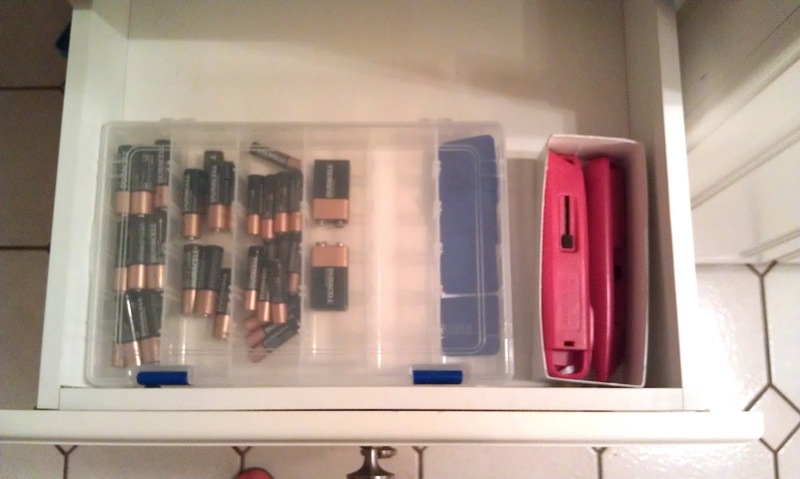 Measure the depth of the drawer that you will use your organizers in. 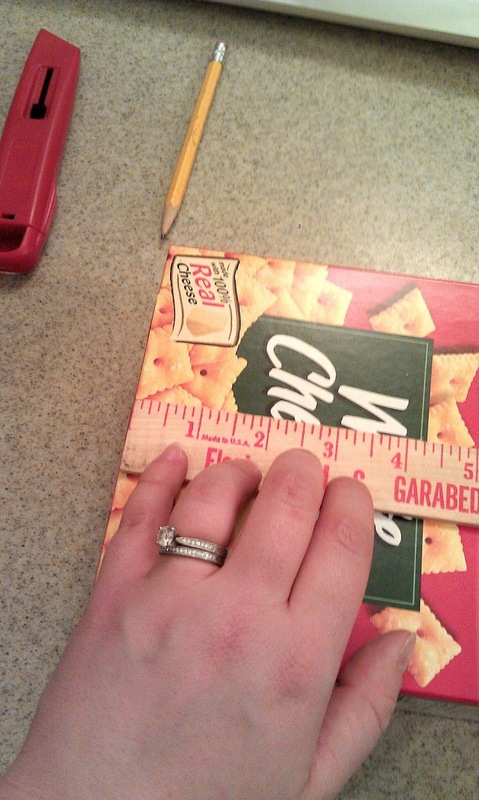 Measure from the bottom of your box to how tall you want your organizer to be. I suggest making sure that you have at least 1/2" of height less than the depth of your drawer, just to ensure that it will close without scraping the top of the organizer. 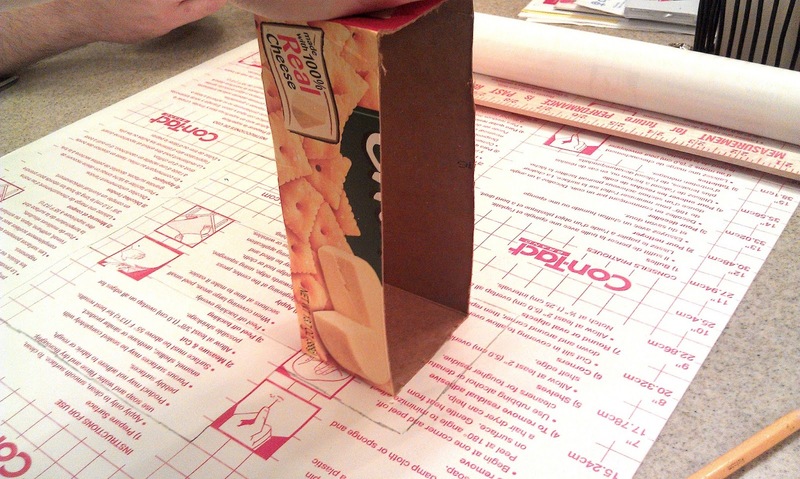 Make a few marks at this height along all four sides of the box so that you can draw a straight line connecting them all. 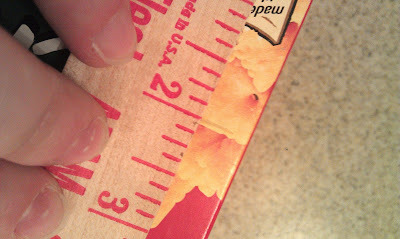 Once your marks are made, connect them using the long side of your ruler. 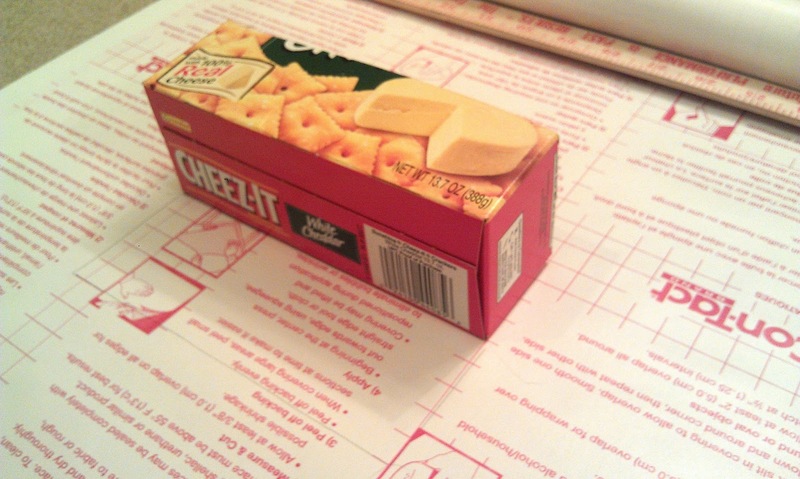 Using your box cutter, cut along the lines that you have made along all four sides of your box. 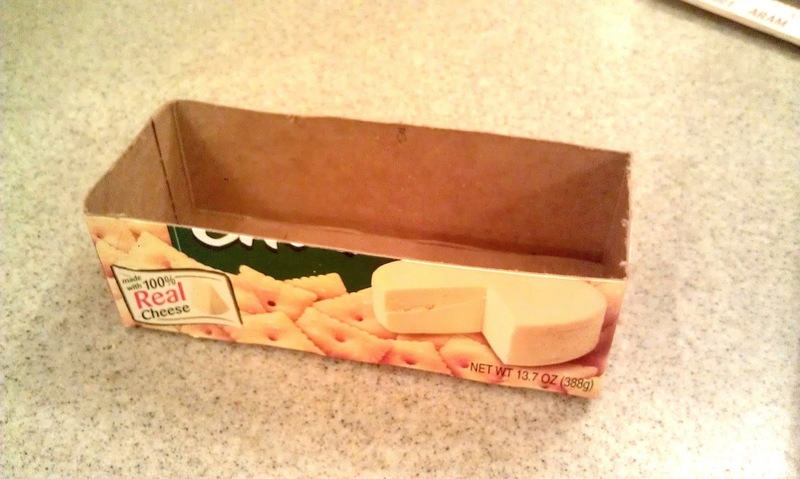 You should now have a rectangular tray with even sides. You don't need to be overly particular about all of the sides being completely straight. 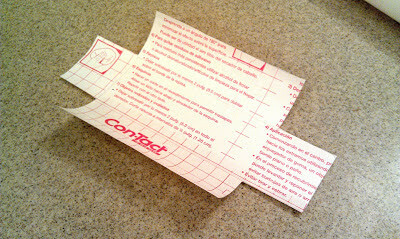 Making sure that you mark the wrong side of your contact paper so that the marks don't show up on the outside of your organizer, trace the bottom of your tray. 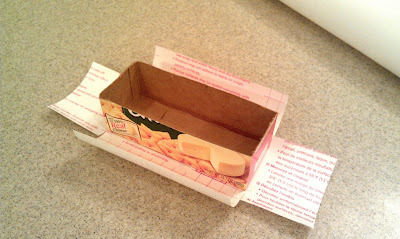 Next, trace the long sides of your tray onto the contact paper, adding an extra 1/2" to the height of the side, so that it can be folded over to the inside of the box, covering the top of the side on the cardboard. Place your tray up on the short side, and trace 1/2" larger than the actual size of this side of the tray. 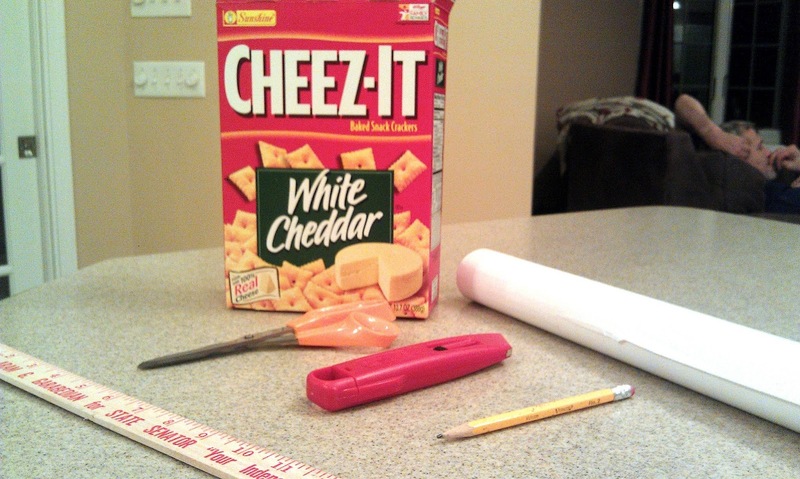 This will be done so that your corners will not have any cardboard peeking through. 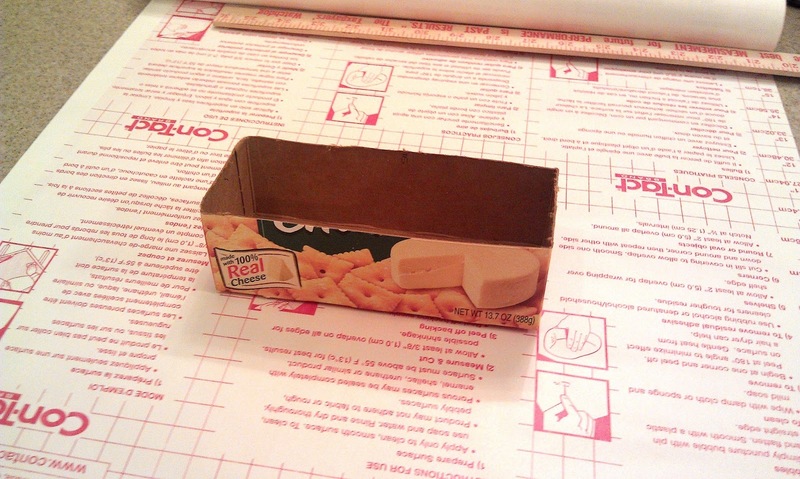 Cut out your contact paper shape and dry-fit it on the outside of your cardboard tray. Make any modifications to size as necessary. 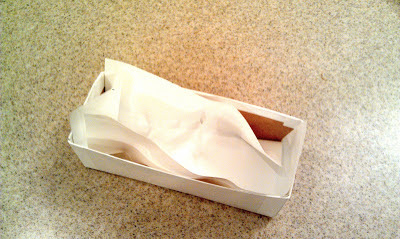 Remove the contact paper liner, and center the cardboard tray on the sticky side of the contact paper. Press down firmly to make sure it sticks on. Tilting the tray up on it's short side, press the contact paper onto the cardboard tray and wrap the extra around to both the long sides and then over the top and into the tray. 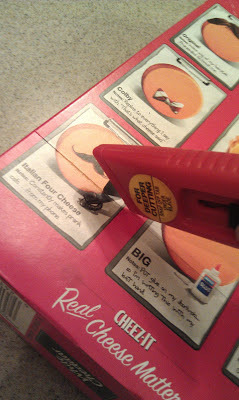 Don't forget to make small cuts to separate the tabs that wrap onto the sides and top of the tray. Repeat this for the other short side, then move onto the long sides of the tray, pressing the contact paper into place, and then over the top of the long sides and into the tray. 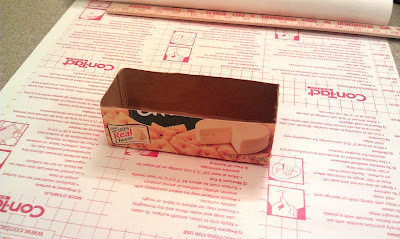 Next, trace the outside of your box bottom and all sides again, creating one piece with no extra measurements added on. Cut out this template, and flip it over. 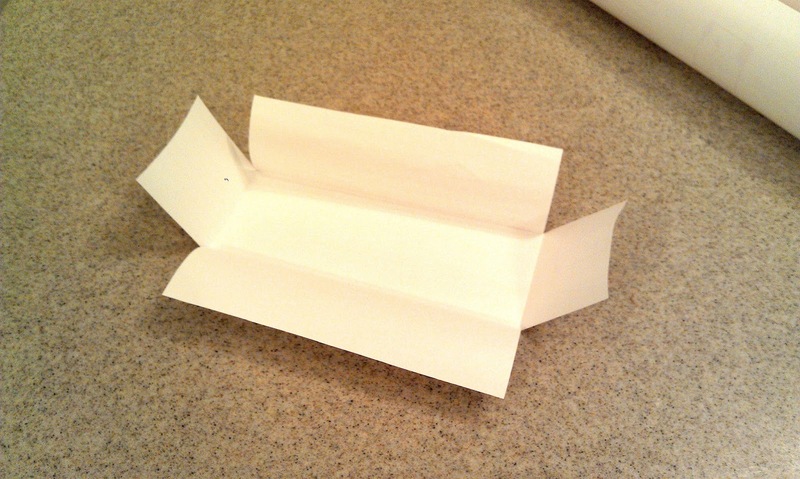 Fold over the pieces so that the crease flips upward, as shown in the pictures below. 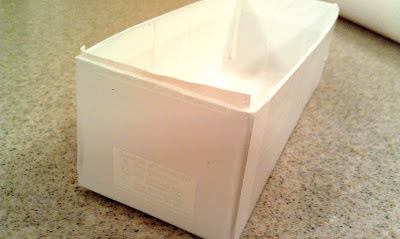 Dry-fit your cutout in the box so that the white non-sticky side of the contact paper shows. Make any modifications as necessary. Finally, remove the paper backing to the contact paper, and set it in the cardboard tray. Gently press the contact paper into place, smoothing it out as you go along. If you make a mistake, it should peel off relatively easily, so don't be afraid to place it incorrectly. 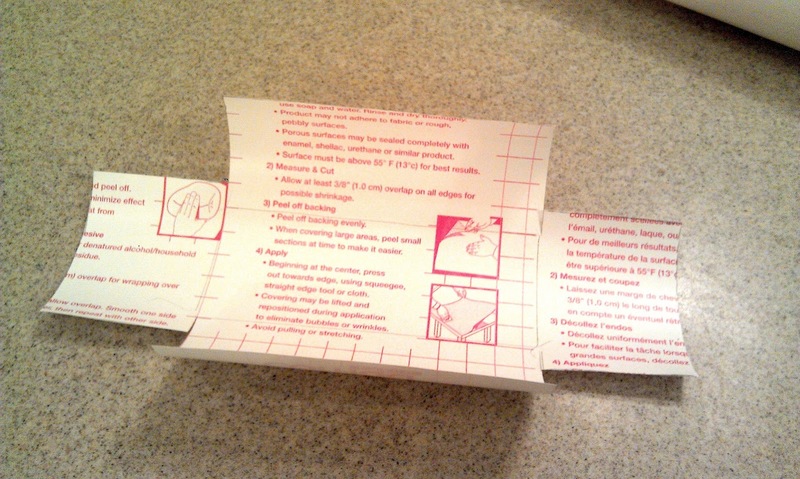 Also, don't worry about getting every single crease or fold out, as it doesn't need to be absolutely perfect. Once you have the contact paper set in your cardboard tray, your organizer is now complete! 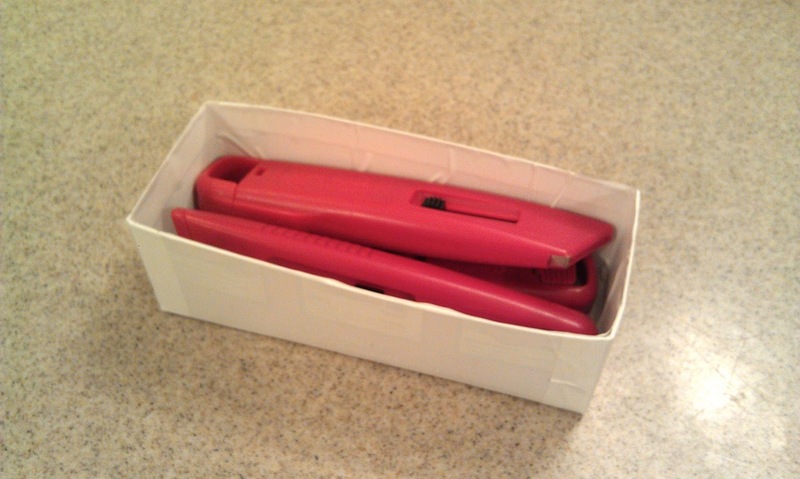 Fill your organizer with your trinkets or loose items, and then place it in your drawer. Create a few more, or a lot more, and you will be on your way to becoming as organized as possible! Is this a project that you think you will do? 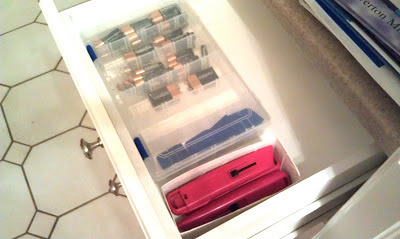 Do you have a junk drawer that needs some serious help?! PS - Sorry for the really awful quality pictures. I still can't find my camera, so I have to rely on my cell phone. I know the last time I had it was in September, just before the wedding. No idea where it is now, but hopefully it turns up soon!